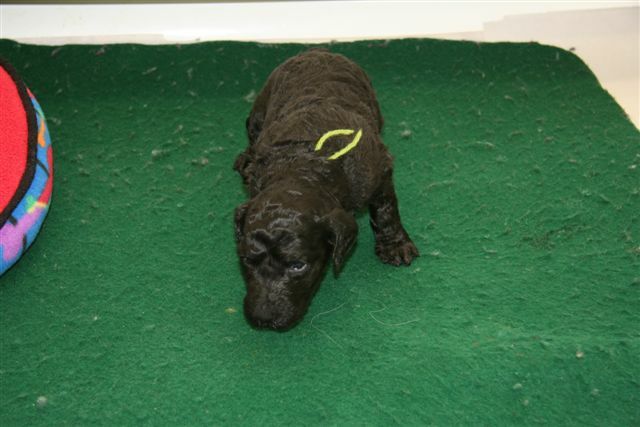 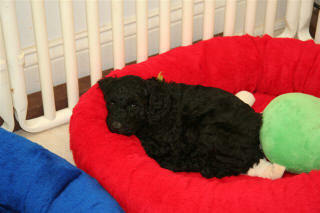 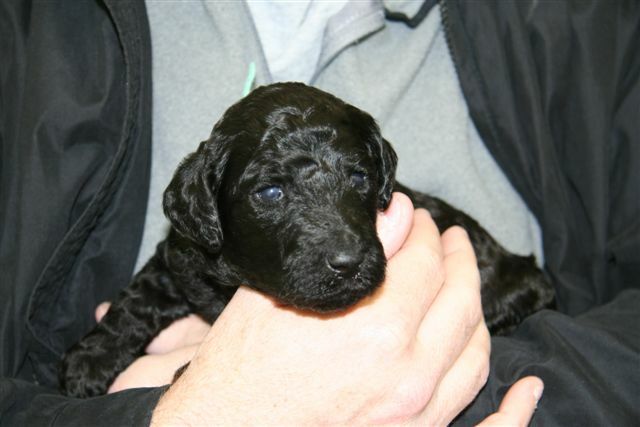 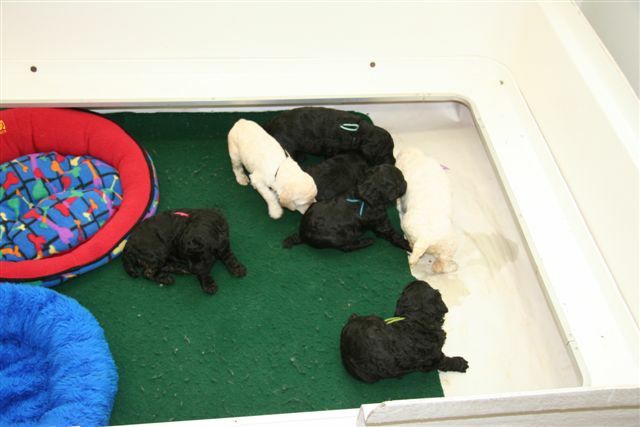 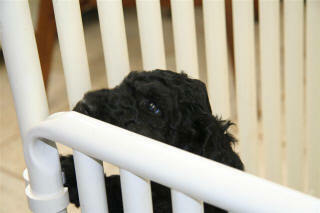 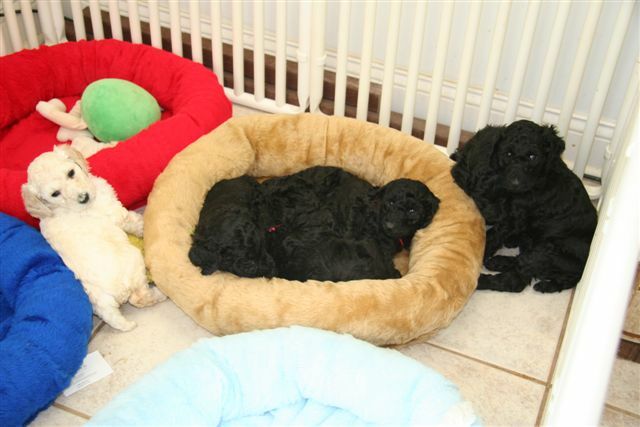 Click here to be notified when new puppies are born. 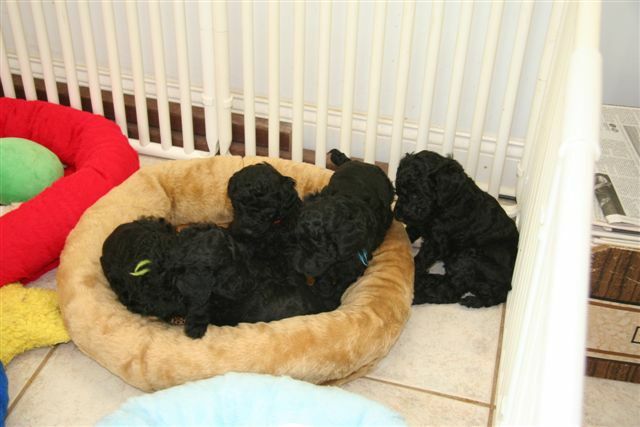 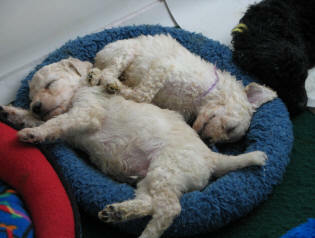 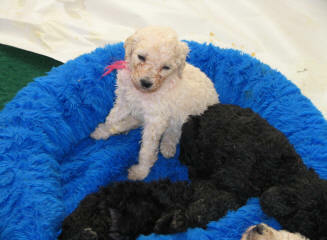 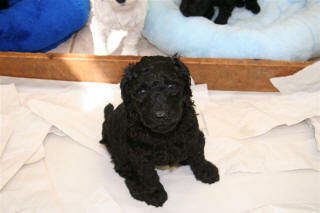 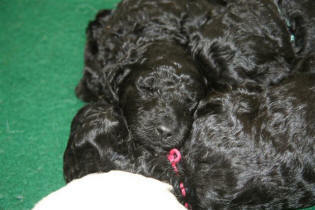 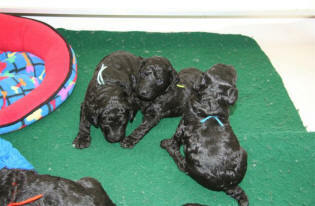 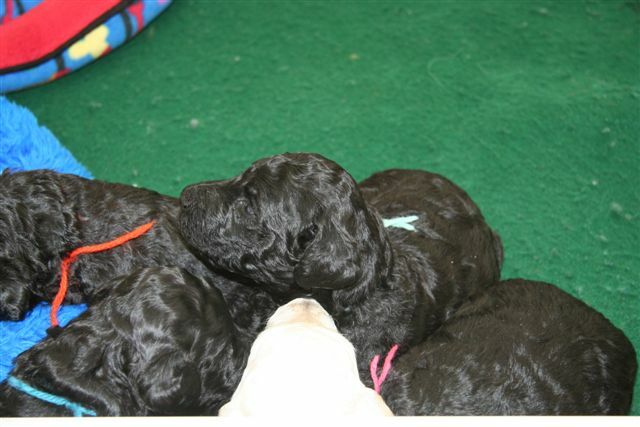 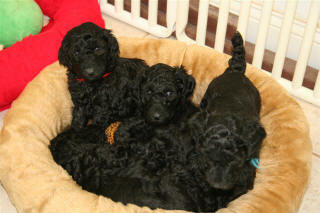 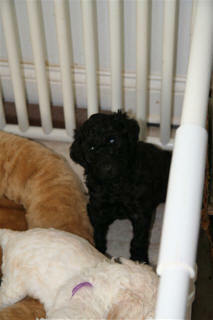 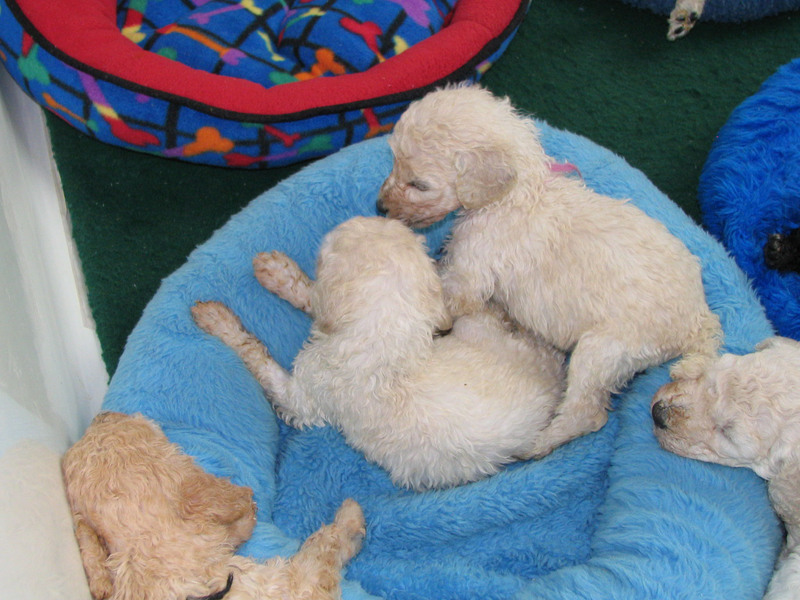 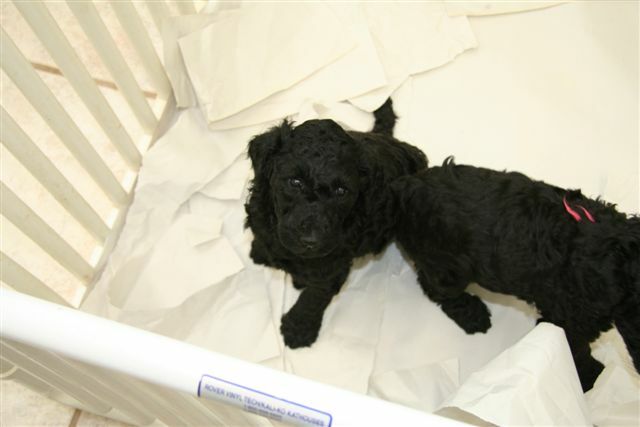 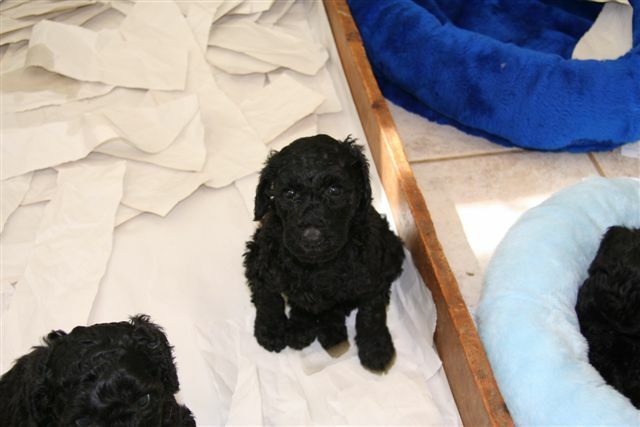 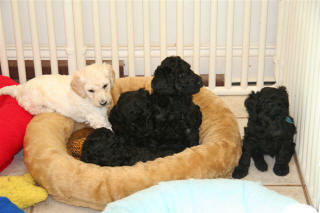 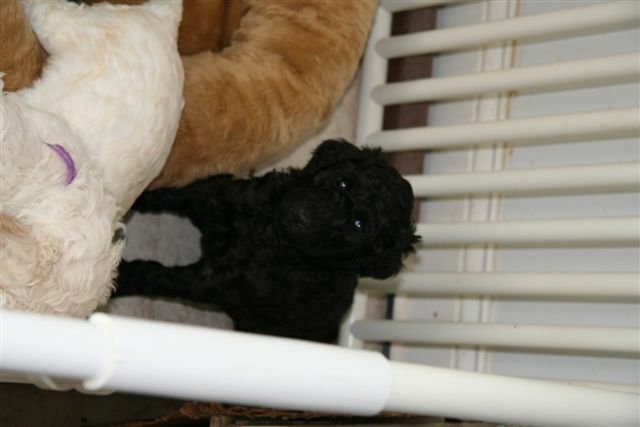 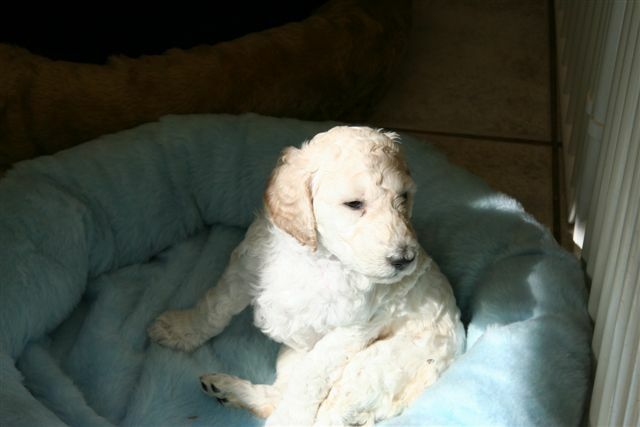 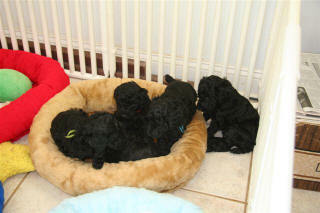 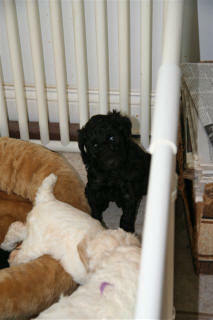 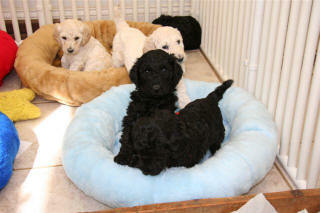 These cute kids are Enya and Philippe's puppies who were five weeks old on March 14, 2009, and who now all have homes. 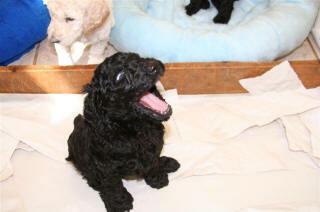 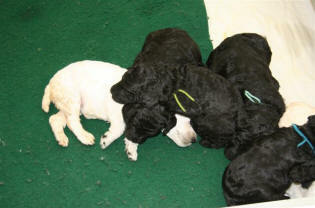 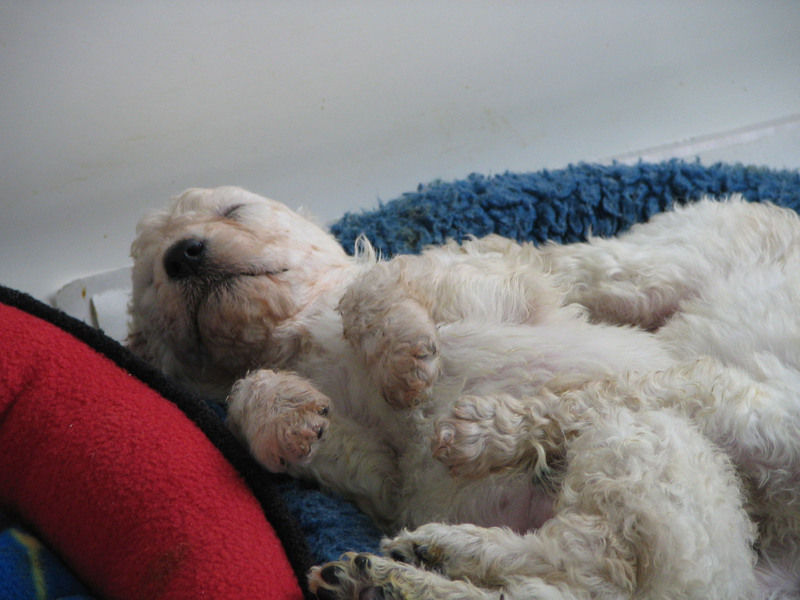 This page gives you a good idea of the life of a ParrisHill puppy. 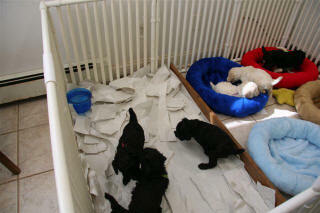 At five weeks the pups eat goat's milk mixed with baby rice cereal, and ground chicken with bone for breakfast. 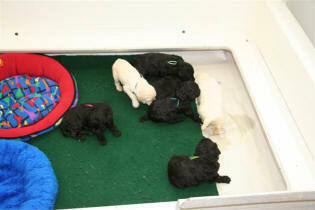 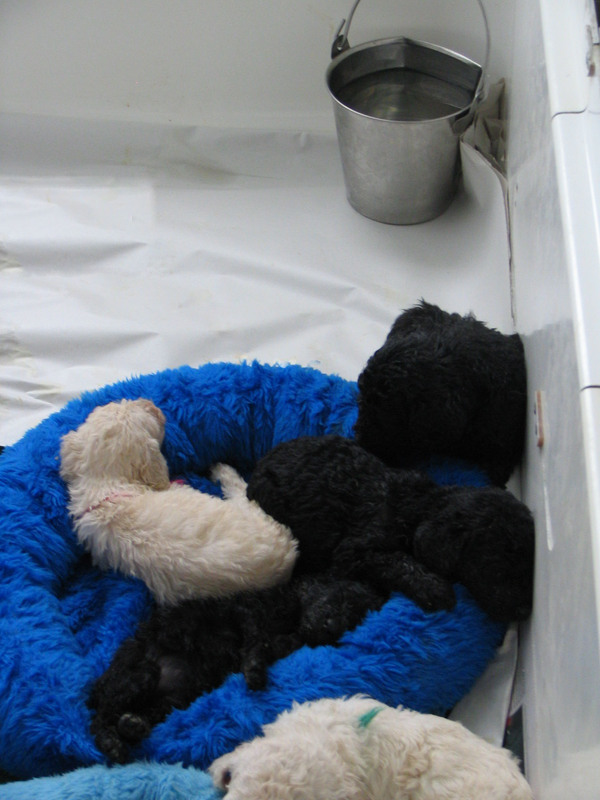 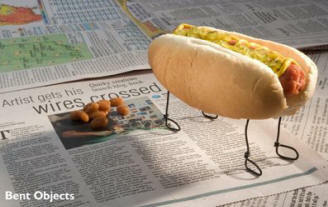 The older of the two litters can already eat big dogs' food diluted with a little warm water. They even scarfed down some venison! 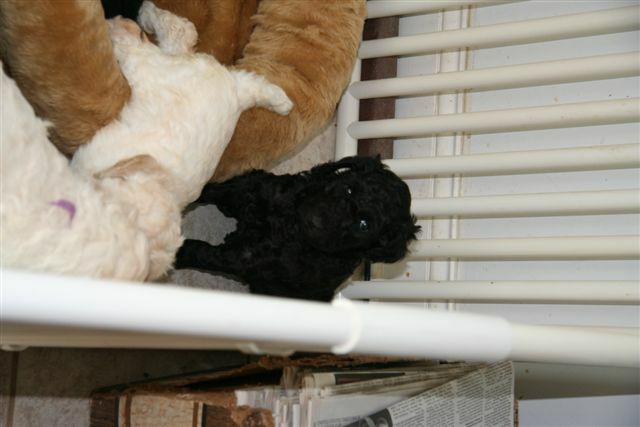 This next batch of photos was taken when they were three weeks old. 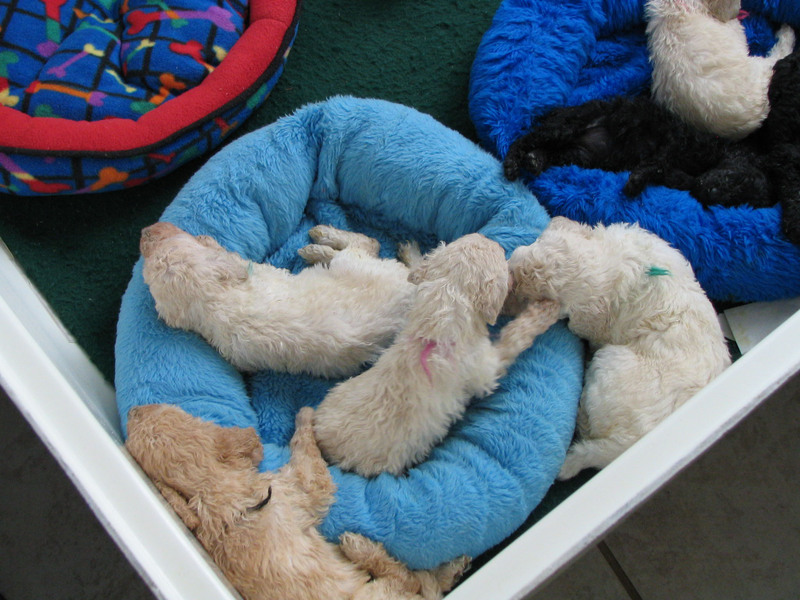 See how they grow up in the whelping box? 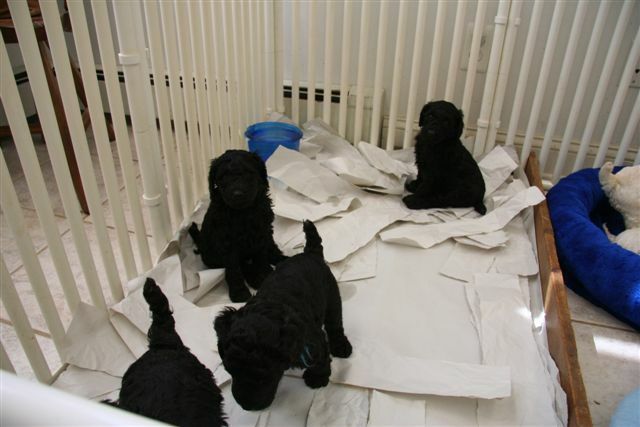 They have beds on one end and some paper on the other, which even at this young age they are already learning to use. 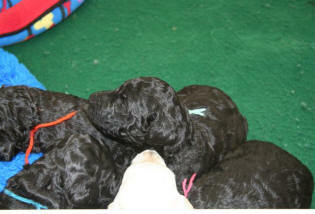 After this phase they move into a bigger xpen to begin their serious paper training! * At about 5 1/2 to 6 weeks they start making little trips outdoors to become familiar with different surfaces of decking, walkways, grass, dirt, and gravel. They also start to investigate the kiddie jungle gyms that I have set up outside. 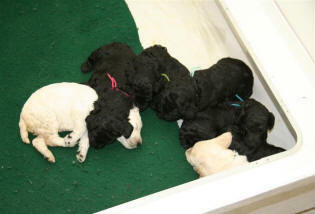 The adorable puppy pictures below were taken by a visitor -- they are Antje and Jeremy's puppies born June 30, 2007. 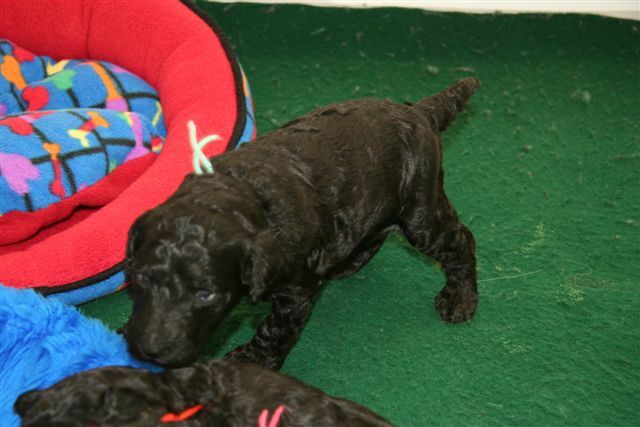 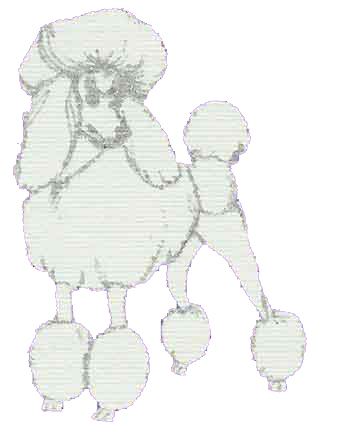 Click here to return to the main puppy page.